Walk into any Nissan dealership in the US and you’ll see the Leaf EV with a base sticker price tag of $29,990, not including some tax breaks. 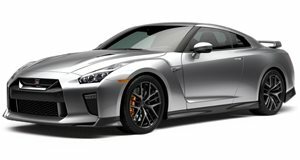 At the very opposite end of the spectrum, a new GT-R will set you back at least $99,990. Considering its output and overall capabilities, that’s not a completely unreasonable price tag. But what is unreasonable, and outright insane, is what a new 2019 Nissan Leaf costs in the city-state of Singapore. 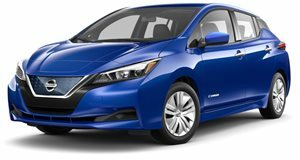 According to a listing from SGCarMart.com, the Nissan distributor in Singapore, Tan Chong Motor Sales, is selling a new Leaf for – wait for it - $167,300. On the plus side, there is a $20,000 rebate which we assume is a tax break. Then again, there’s a $1,494 yearly road tax, but the sale price includes six months-worth of that tax. There appear to be a few additional rebates available to buyers but whatever the final price tag comes down to will still far exceed $30k. And nor is this supercar-priced Nissan Leaf the newly launched e+ model with the upgraded 160 kW (up from 110 kW) electric motor. So is the Nissan Leaf, and presumably all new cars, so expensive in Singapore? Because new cars are taxed at least 100 percent of their open market value. Another way to drive up the cost, i.e. money that goes straight to the government, is the certificate of entitlement (COE). The Nissan Leaf’s COE is $36,961. But don’t think all Singaporeans are rich. They’re not. Most cannot afford new cars. According to citylab.com, only about 15 percent of the population owns a car. Singapore, which is only about the size of Washington, D.C. times three and a half, is also one of the greenest urban areas in all of Asia. Imagine why. Not so surprisingly, the high price of car ownership is creating tension between the super wealthy and everyone else living there. Those who don’t own cars are stuck taking taxis or using the subway or buses. Owning a car in Singapore, regardless of make and model, brings prestige. It is not considered as something basic like it is just about everywhere else in the world.